I was really excited to try this as I’ve been looking for a new foundation for a really long time. I have this in the shade 05 Porcelain, which is the lightest shade and still slightly too dark for me (I am the definition of pale). Although with a bit of blending its all good and works really nicely on my skin. This gives a medium coverage I’d say, however I think its build-able up to a full coverage. I have a combination skin type, with a fairly oily T-Zone and a few dry patches across my cheeks and nose and this seems to work so well with that! It didn’t noticeably cling to any of my dry patches, and it didn’t come across as oily looking across my T-Zone area, just gave a nice even finish. I’m really impressed with this foundation and would recommend to any skin type actually. I kept meaning to pick up a loose setting powder, but kept forgetting as it just wasn’t top of my list so I was very happy to receive this. This is a loose white powder, and you get a really decent amount so I can see this lasting me a very long time. I use a big fluffy brush with this, and dust it lightly across my whole face, focusing on my T-Zone especially. I do believe this has helped to keep my makeup on that little bit longer, when paired with a setting spray especially. It feels very weightless on the skin as well, and doesn’t give a cakey finish, because I’m not very fond of cakey finishes. All in all, this is a brilliant little setting powder. 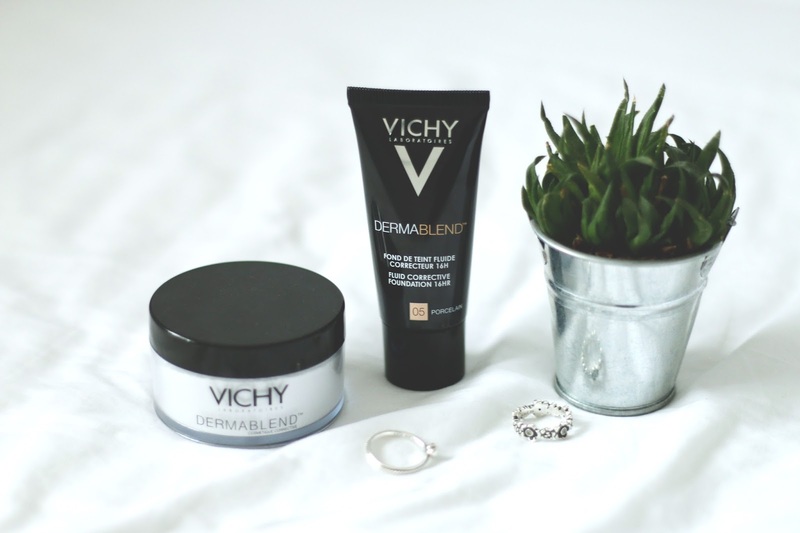 Have you tried the Vichy Dermablend range?